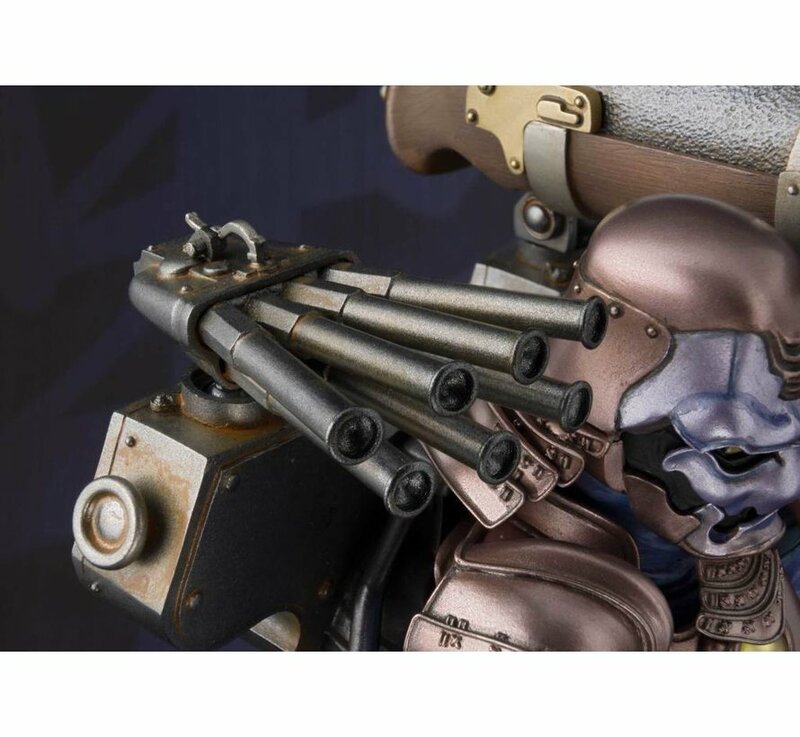 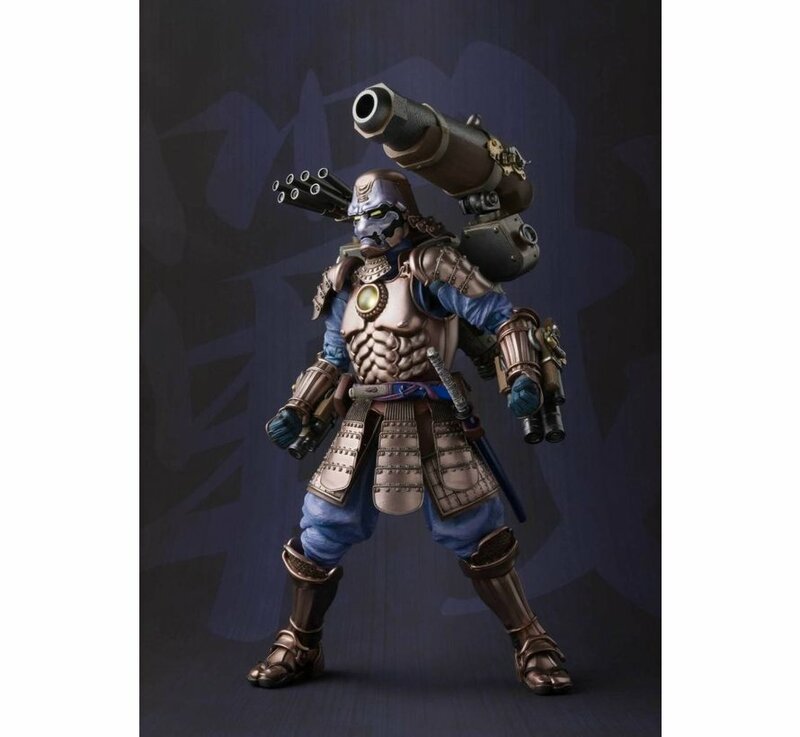 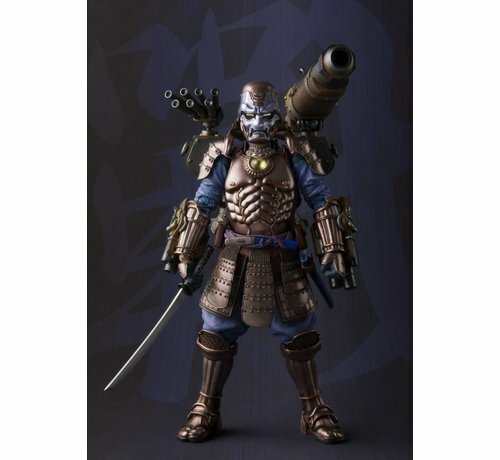 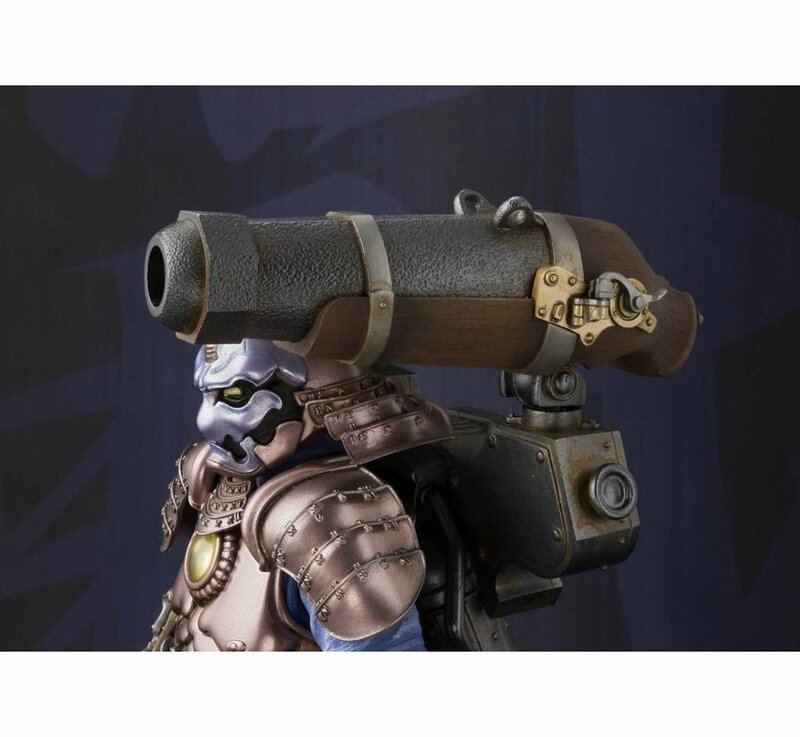 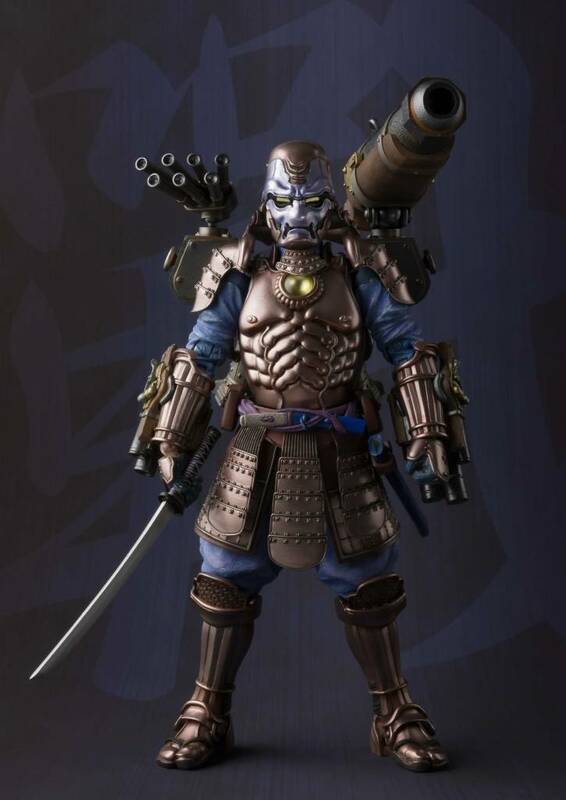 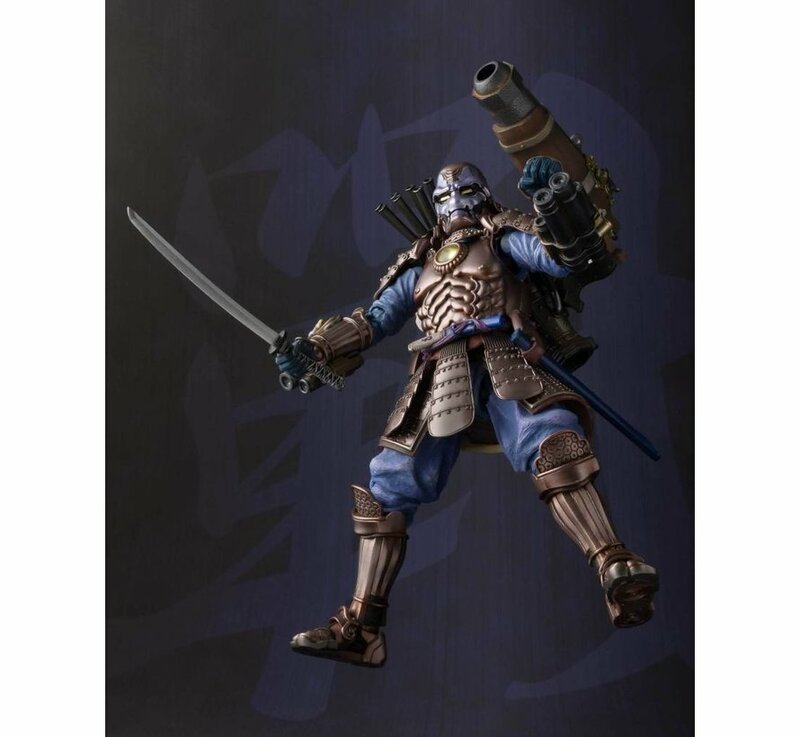 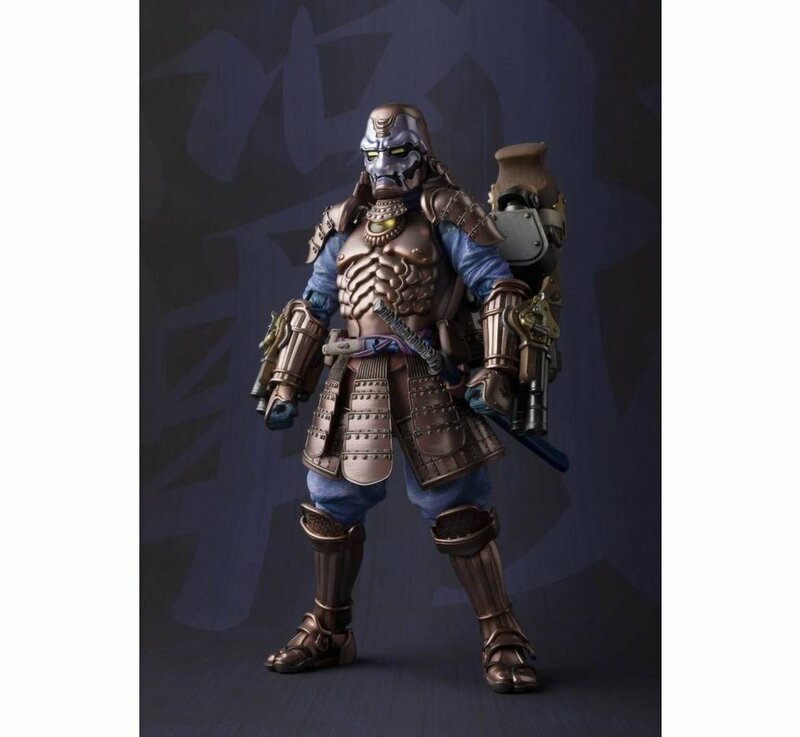 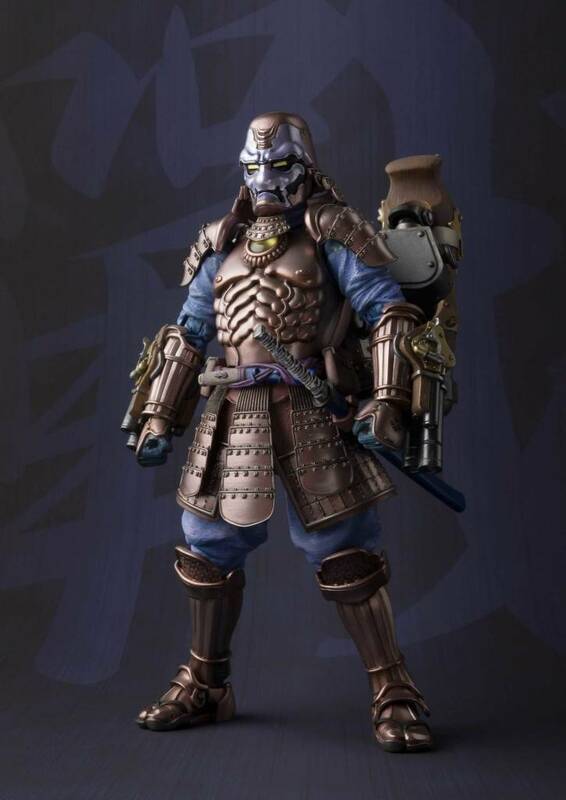 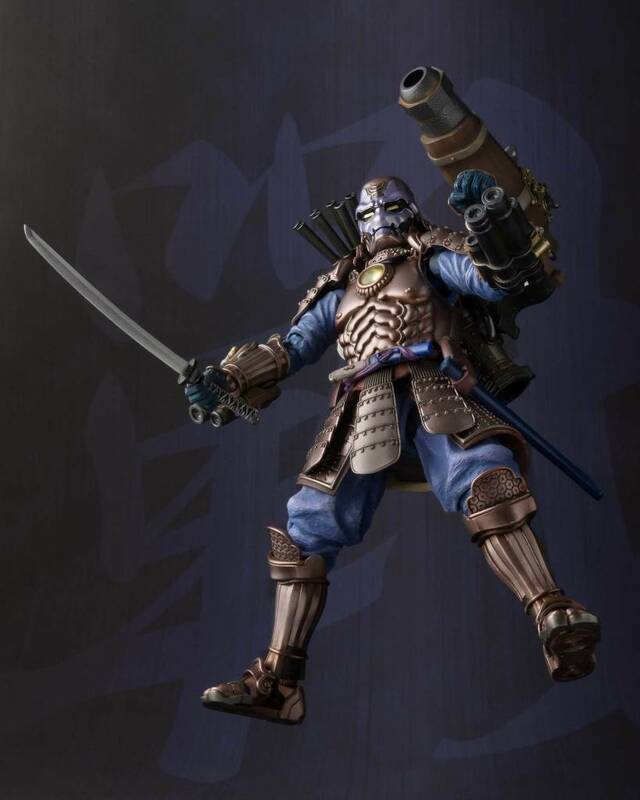 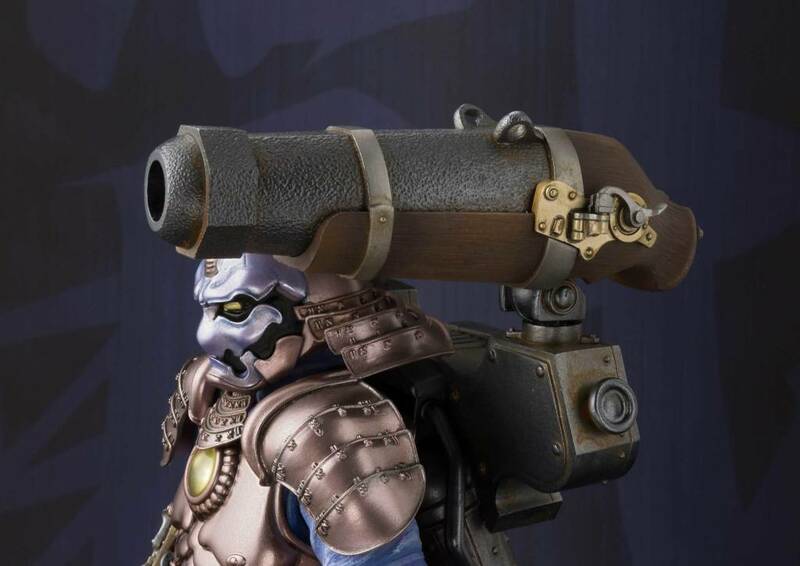 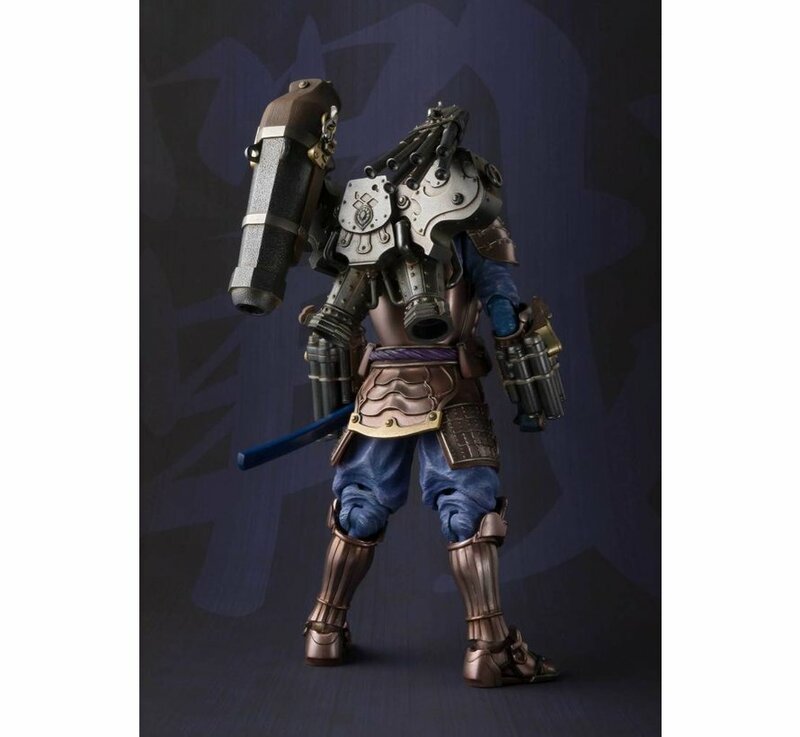 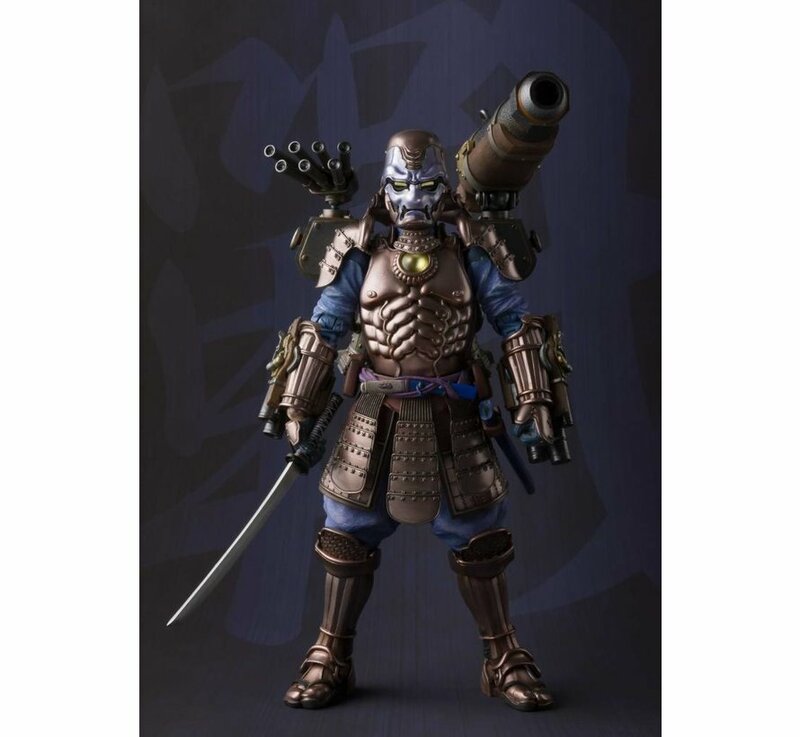 This is a Koutetsu Samurai War Machine "Marvel", Bandai Meisho Manga Realization *P-Bandai* Action Figure by Bandai Tamashii Nations. 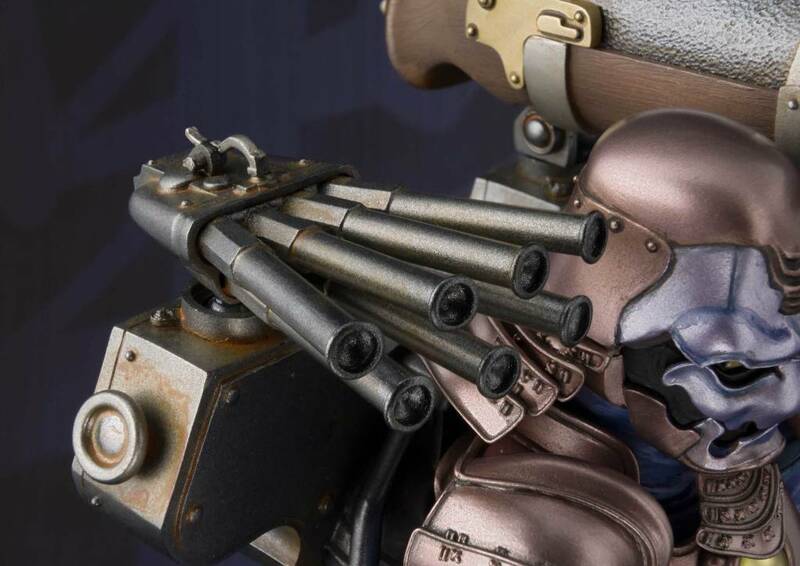 Following the popular Manga Realization Iron Man comes this incredible retro portrayal of the War Machine, arranged by Takeyuki Takeya and sculpted by Junichi Taniguchi and Takashi Yamaguchi! 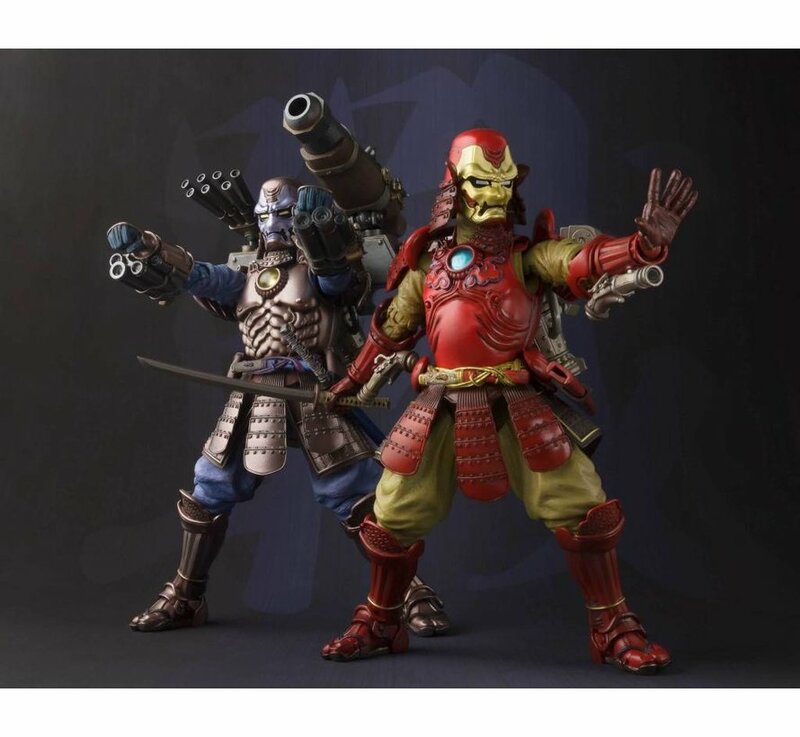 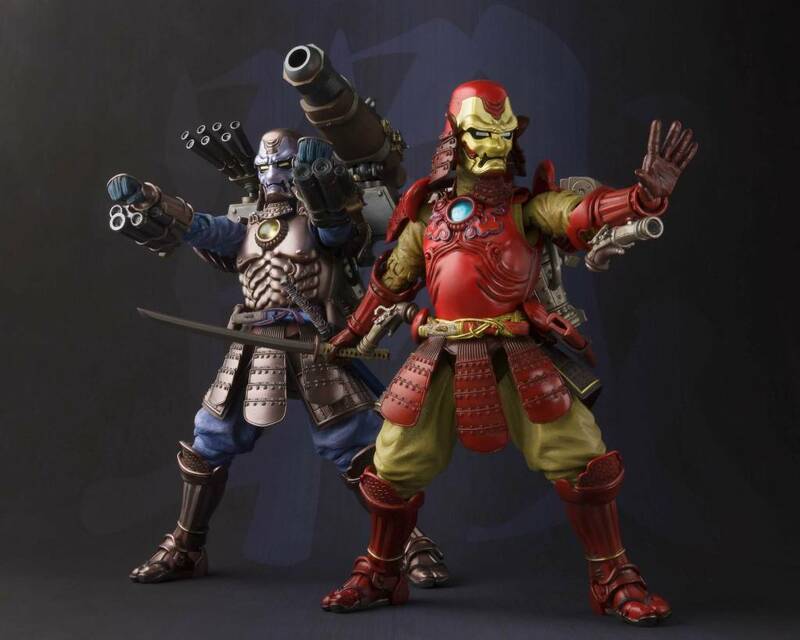 Their masterful skills have re-envisioned the War Machine as it might have appeared in the era of samurai. 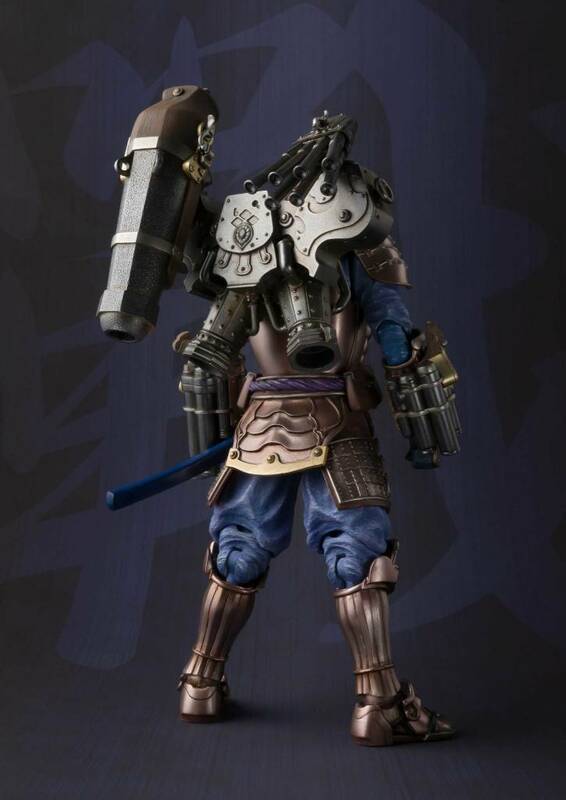 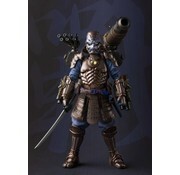 Includes two pairs of optional hands, a sword, a backpack, and a stand. 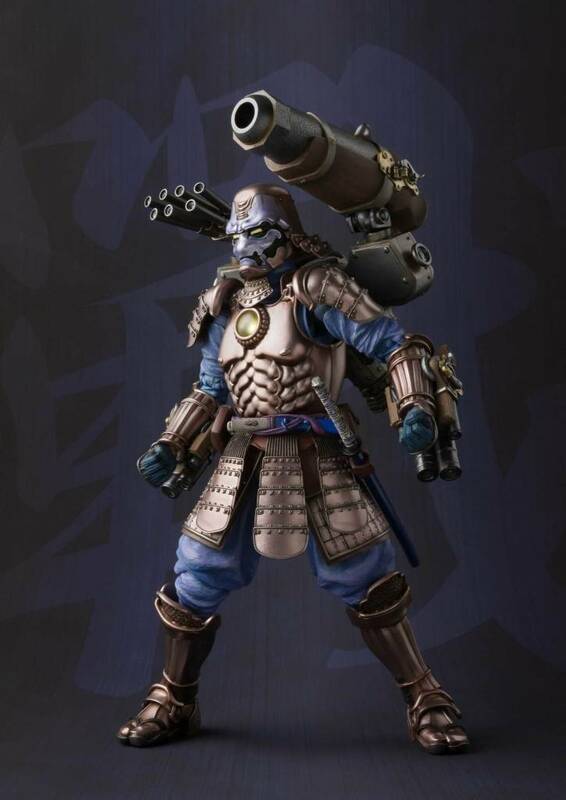 Koutetsu Samurai War Machine "Marvel"